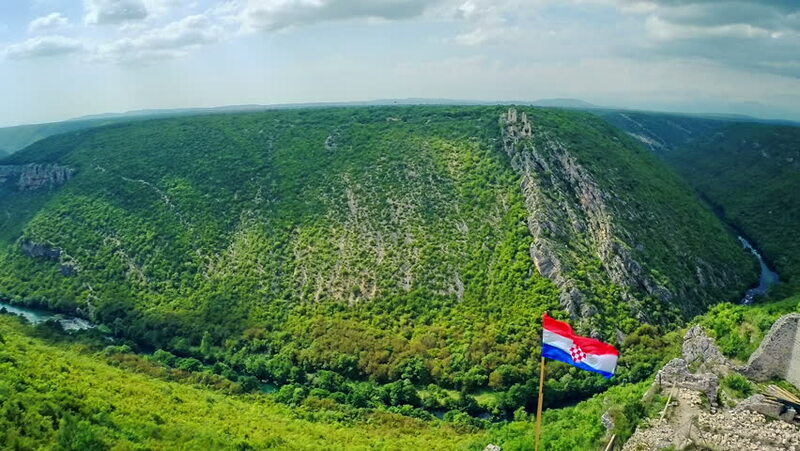 Copter aerial view of the Croatian flag on archaeological remains of the Fort Necven medieval Croatian fortress from the 14th century with a view to the fort Trosenj on the other side. hd00:19Corn Farms in Thailand. Crane shot. hd00:22A few houses are standing in the middle of the gorgeous nature. The landscape looks beautiful and green. The sun is shining. Wide-angle shot. hd00:20Vintage car is standing on a great place in the middle of beautiful green nature on countryside.